The View at Horizon Ridge in beautiful Henderson offers scenic destination living with a difference. Offering spacious one, two and three bedroom apartment homes with designer accents including walk-in closets, gourmet kitchens with granite countertops, private patio or balcony, ceiling fans and in home, full size washer/dryers. Loft homes have direct access to two-car garages. 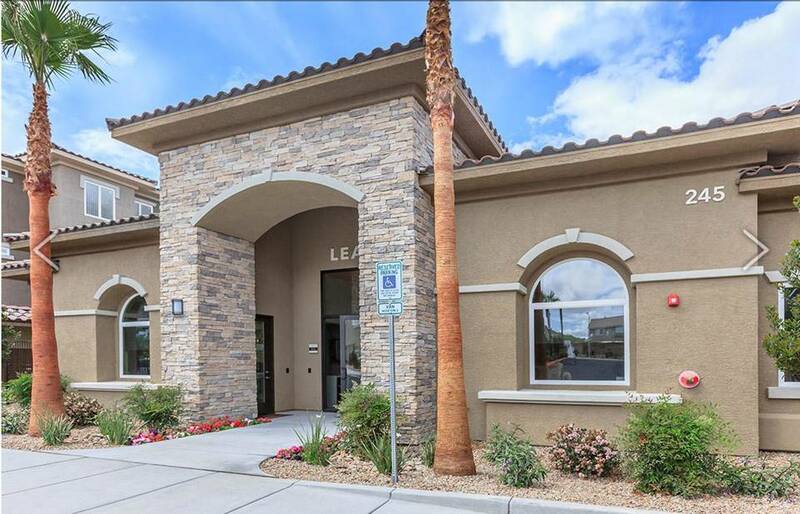 This gated community features an elegant clubhouse, state-of-the-art exercise facility and business center. Nearby, you will enjoy premiere golf, year-round recreation, fine dining and abundant shopping. Twenty minutes from the world famous Las Vegas Strip and McCarran International Airport with convenient access to I-95 and I-215.